When Jude agrees to lend her vintage chaise longue for the local Amateur Dramatics Society's production of George Bernard Shaw's The Devil's Disciple, little does she realize she'll end up in a starring role. 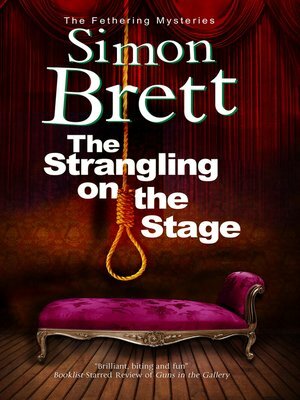 It's an ambitious play, culminating in a dramatic execution scene: a scene that's played for real when one of the leading actors is found hanging from the especially-constructed stage gallows during rehearsals. A tragic accident - or something more sinister? Carole and Jude make it their business to find out.